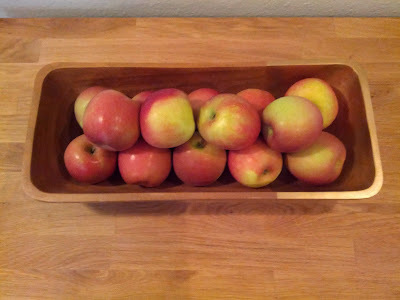 A few years ago I bought this rectangle wood bowl (back when I was in the thick of my "wannabe hippy earthy natural blah blah blah" phase), and used it only here and there to hold candles or rocks or whatever junk needed holding. 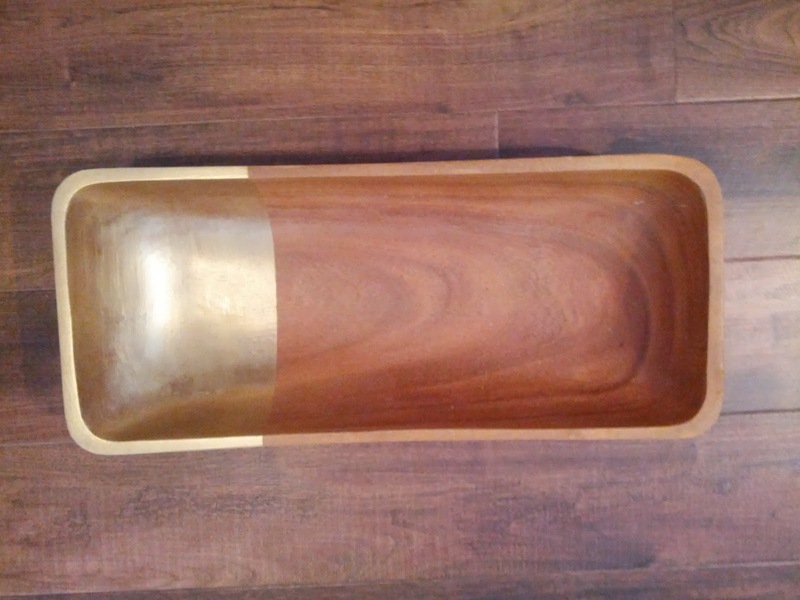 This remodel has had me purging our house of old stuff that only gets used every once in a while, and I came across the wood bowl way in the back of our hall closet on top of a box of Christmas stuff. I impulsively reached for it to toss it in the "take-to-the-thrift-store" box, but looked at it for a while and realized I could vamp it up and give it an easy update. 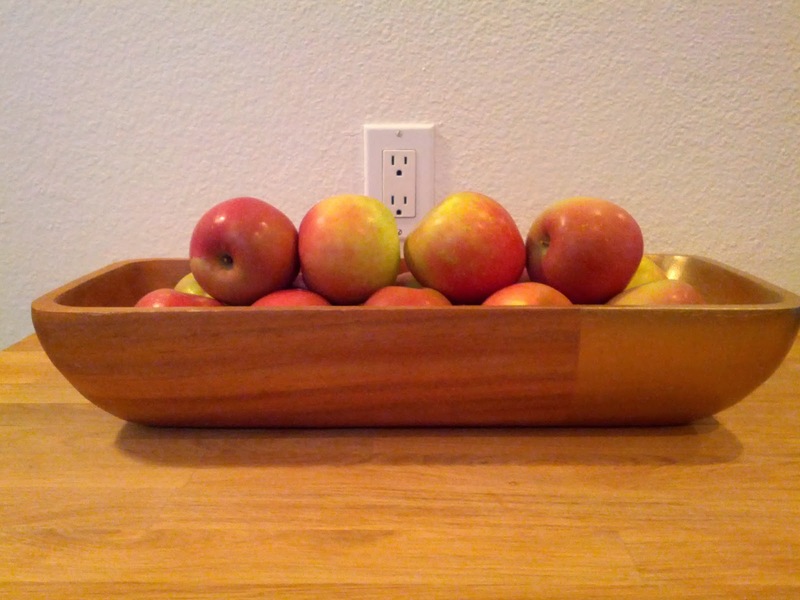 I had seen wood accessories in magazines that had been gold dipped, and they cost upwards of sixty, seventy, even a hundred dollars. I could easily do that myself! said every pinterest user ever. 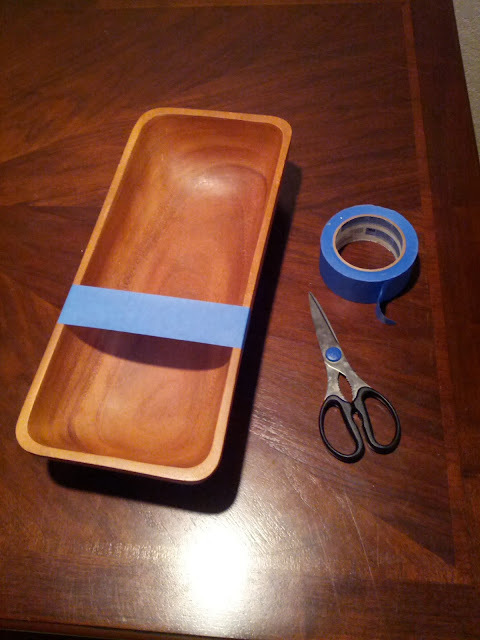 Start by carefully taping the area that you want to paint. 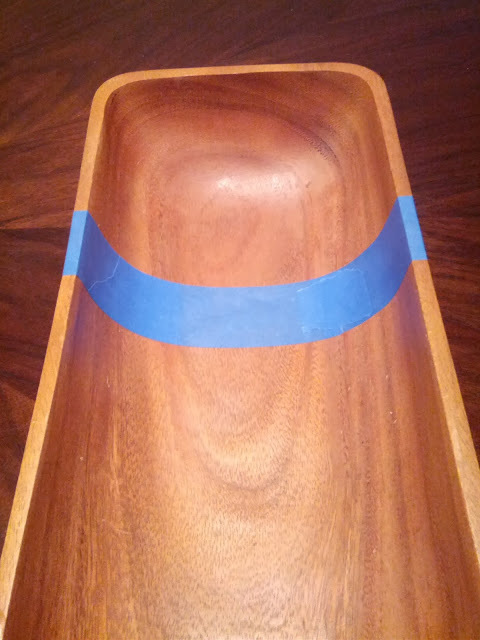 In order to tape straight, I taped across the bowl, then cut the tape and filled the gap. 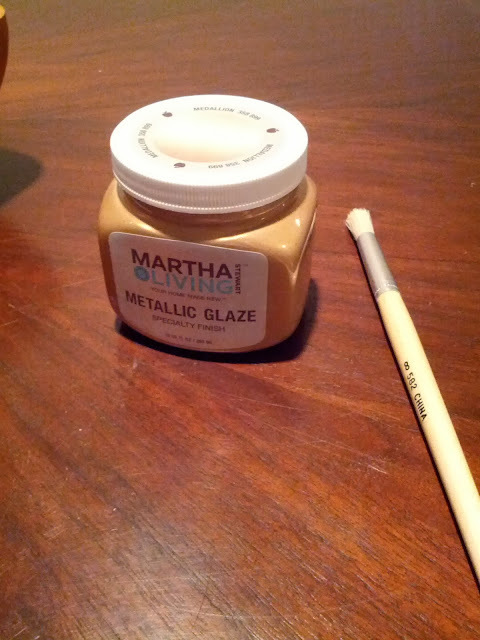 I bought this Martha Stewart metallic glaze in a gold shade. 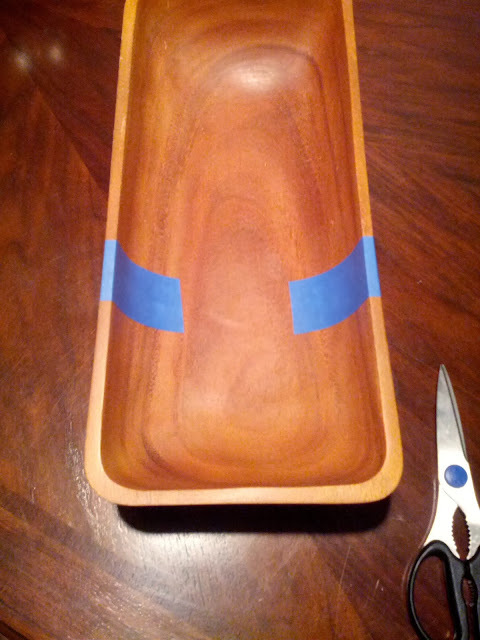 Because it's a glaze, it took several coats to get the depth I wanted, and took a few days to completely dry. It might have been easier to use a gold spray paint. I really like how it dried, kind of matte but still with a little shine. It's really subtle. In some light it doesn't even look like it's been gold dipped, but then in other light it looks really obvious, like the picture above. And it looks great as a Fall centerpiece with apples in it. 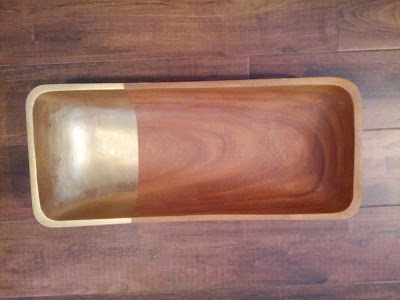 Do you have something you'd "gold dip"? I love it!!! I can't wait to get moved into my house so I can make all the things gold.